EDINBURG — Powered by career-high 17 points on a career-high five 3-pointers from Quynne Huggins, the UTRGV women’s basketball team (7-2) defeated the University of Massachusetts 67-59 on Friday night in the opening round of the Battle on the Border Tournament. The win gives UTRGV (7-2) its best record through nine games in program history, a fact that might seem surprising given the team’s three consecutive 19-win seasons and three straight trips to postseason tournaments. UTRGV has been a defensive force in the early portion of nonconference play, holding opponents to just 36.0 percent shooting while forcing an average of 16.6 turnovers per game. 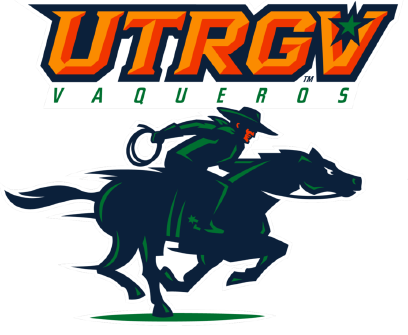 The Vaqueros offense has been an entirely different story, as UTRGV has needed a flurry of strong offensive performances from several players to secure victories. No single player has answered the bell consistently for UTRGV on the offensive end. Tidwell has lamented several times this season that if he could find one player to consistently hit shots, his team could be scary for opponents when conference play begins in just over a month. He might have found that player if Huggins can continue her run of four straight double-digit scoring performances. Three other players reached double figures for UTRGV, as Amara Graham added 11 points, two rebounds and two assists, while Megan Johnson and Valeria Tapia each netted 10 points. Krisynthia Sampson narrowly missed her first double-double of the season with nine points, 10 rebounds and a career-high tying three steals. UMass (4-4) was led by matching 14-point and six-rebound performances from Maggie Mulligan and Genesis Rivera, while Hailey Leidel provided the team’s lone long-range threat with 12 points on 2-of-6 shooting from behind the arc. She also had seven rebounds and two assists. UMass opened the match by scoring seven of the first nine points, including a Hampton-Bey 3-pointer and layup. UTRGV responded with a 14-2 run to pull ahead 16-9. UMass battled back to pull within three on a Genesis Rivera 3-pointer with 14 seconds to play in the opening quarter. UMass never came any closer, however, as the tandem of Huggins’ offense and the staunch UTRGV defense held UMass to just 10 points in the second quarter to close the first half up 36-26. The second half began much like the first half ended, with UTRGV’s defense continuing to reign supreme, holding UMass’s offense at bay. Five straight points from Amara Graham allowed UTRGV to extend its lead to 52-38 after three quarters of play. UMass mounted one final rally, using a 15-6 run to pull within 61-55 with under two minutes to play. However, a very methodical UTRGV attack forced three straight UMass fouls, with accompanying free throws pushing UTRGV to victory. UTRGV will have a less than 24-hour turnaround as it faces UTSA in the tournament’s final match at 3 p.m. Saturday.